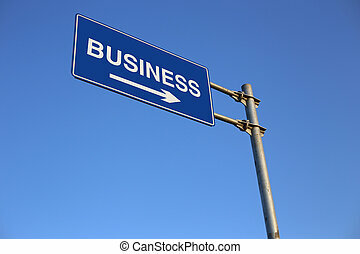 Business Road Sign with clear blue sky background. 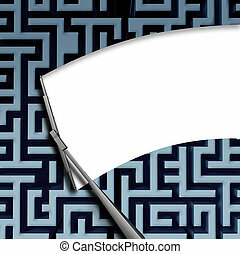 Clear solution concept with a windshield window wiper blade wiping off a complicated maze or labyrinth pattern as a business symbol of innovative thinking for financial success. 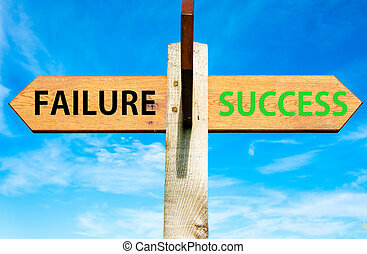 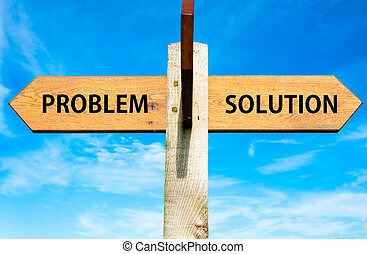 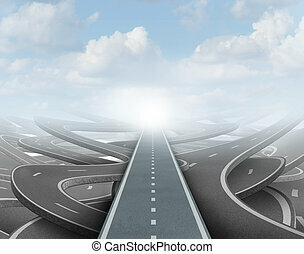 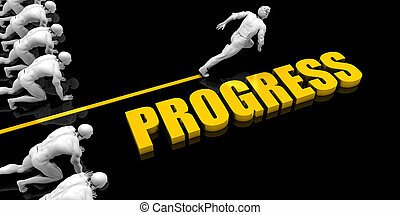 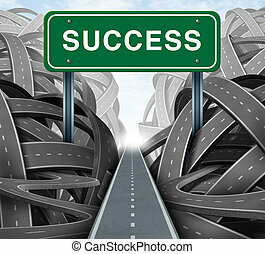 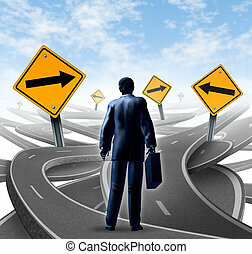 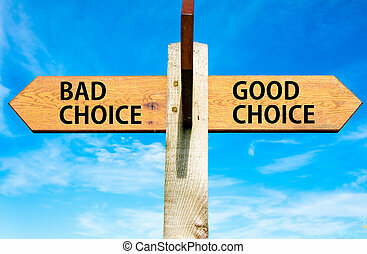 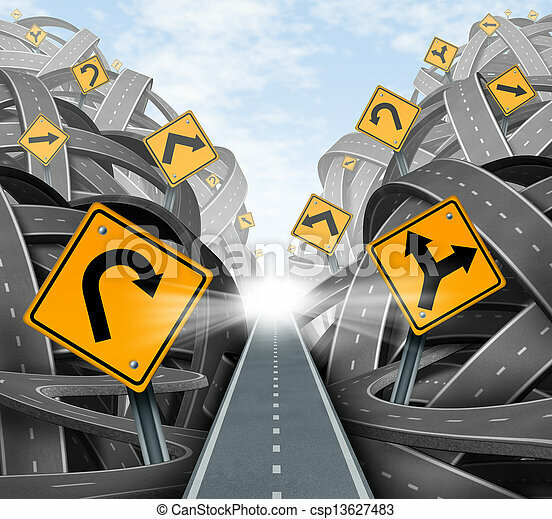 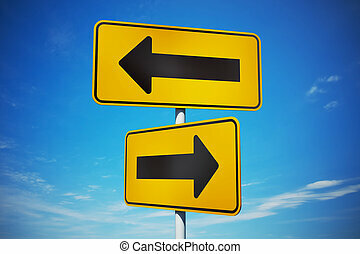 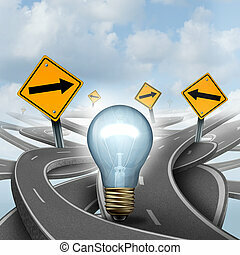 Solution path business concept as a businessman on a clear road cutting through confusing road arrows as a success direction metaphor for achievement and focus. 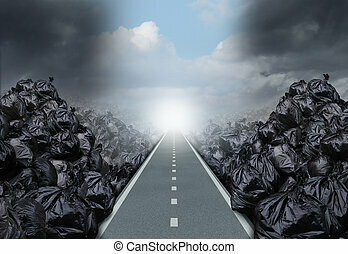 Garbage solution environmental concept as a straight road or clear path cutting through a background with garbage bags as a symbol for global waste management hope for the future. 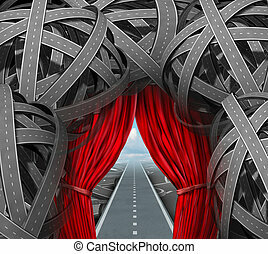 Strategic opportunity cutting through the confusion with clear strategy and solutions for business leadership with a straight path to success with open red curtains leading through a maze of tangled roads and highways. 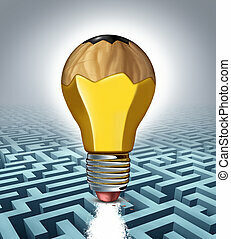 Creative solution business concept as a pencil shaped as a three dimensional lightbulb erasing a clear path through a maze puzzle as a success metaphor for creativity thinking and innovative strategy. 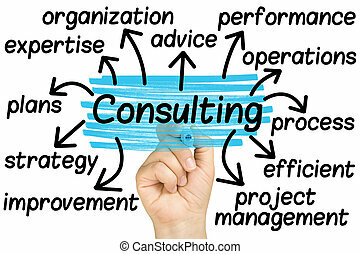 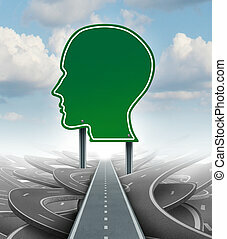 Strategic direction leadership business concept with a green road or highway sign in the shape of a human head as an icon of breaking out from a confusion of tangled roads with a clear plan for a personal success path. 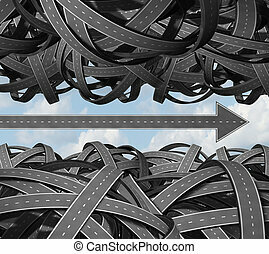 Clear path business success concept with a group of tangled and confused three dimensional roads grouped together and an individual highway shaped as an arrow breaking free from the clutter and moving forward. 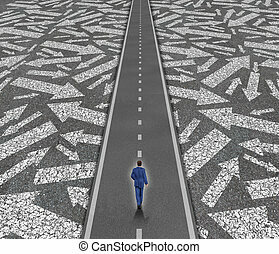 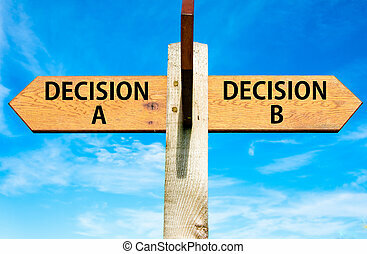 Strategic journey as a business man with a breifcase choosing the right strategic path for a new career with blank yellow traffic signs with arrows tangled roads and highways in a confused direction. 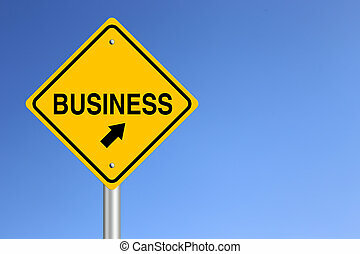 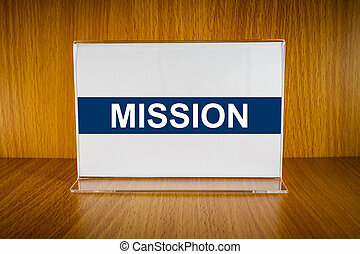 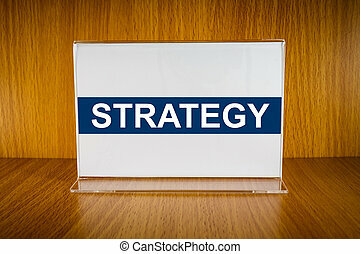 Clear strategy and financial planning road with a green highway sign and the word success as a business concept of winning solutions cutting through adversity through determination as tangled paths of confusion and chaos. 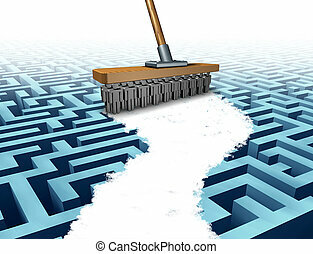 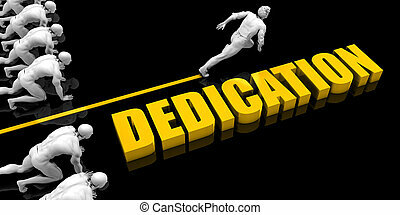 Teamwork solution and company support business concept as a metaphor of a broom with the cleaning bristles made from people icons clearing a path through a complicated maze as a symbol working together for team success. 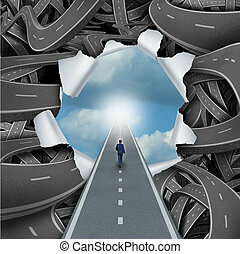 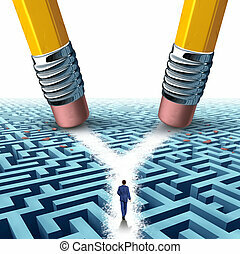 Solution crossroad business concept as a three dimensional maze or labyrinth being erased by two pencils clearing a cross road path for a confused businessman as a symbol for choosing the pathway to success. 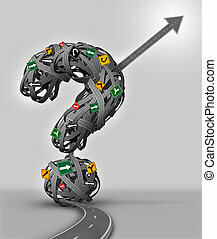 Uncertainty Solution business concept with a tangled group of confusing traffic signs cutting through a maze of highways in the shape of a question mark as a single road shaped as an arrow finds a way out towards success..
Clear way business and life success concept as a person walking through a bursted scene of confused tangled roads and highways to a calm blue sky as a metaphore for escaping the confusion or freedom and solutions to problems.